Become a certified retreat coach to lead profitable retreats. Alison Kennedy Sayers, MA is a behavioral scientist with a passion for the richness and diversity of life and the human experience on earth. Specializing in custom retreats for businesses, organizations, and women leaders, Alison brings the best of science and compassion to the table as a facilitator, executive coach, trainer, and leader. She particularly enjoys hosting clients in the spectacular and remote Bella Coola Valley in British Columbia, Canada, where she makes her home on a 51-acre organic farm with her husband and two sons. She wears many hats and takes pride in them all: mother, wife, farmer, consultant, coach, cook, artisan cheesemaker, and fiber artist … to name just a few! Dorothy Larios has recently returned to her home of East Lothian in Scotland after 40 years of living between Greece and England. Dorothy​ ​​is an Executive Health and Well-Being Coach along with being trained as a Retreat Coach and Mindfulness Teacher.​ She offers a rich tapestry of tools and experiences ​through the retreat process to people in all walks of life. She has a special passion for bringing people close to Nature. 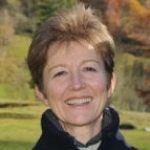 She offers retreats in the landscape of John Muir’s birthplace (East Lothian, Scotland) and guides clients through self discovery in custom retreats that include walking, journaling, coaching, reflecting and more. She also designs retreats for couples, friends and groups. 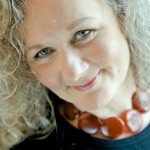 Jacqui is a TA Psychotherapist, Counselor, Coach and Educator and offers dynamic women’s retreats in the UK, Spain and the USA. 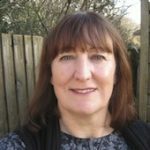 Jacqui works with people who are ready to take responsibility for their health and happiness, which doesn’t mean that life will be a permanent bed of roses or that negative things won’t happen; it simply means that by understanding yourself you learn to think differently and by thinking differently you make better choices. Jacqui has recently returned to live in South Wales where she offers individual, couple and group sessions. 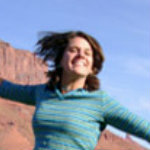 Write to inquire about her specialized retreats on Conscious Eating, Be Here Now, and Attracting the Life You Want. Sally-Anne leads mindful living and leadership retreats for men and women in the peaceful, inspiring environment of a beautifully renovated 1830s French Alpine farmhouse, one hour south of Switzerland’s Geneva airport. An intuitive and empathic learning facilitator and experienced executive and life coach, Sally-Anne offers individuals and groups simple practices that enhance personal wellbeing and success. Her retreats help people develop greater emotional resilience, more fruitful personal and working relationships, less stress and more joy. Marilyn’s retreats offer new-paradigm leaders the opportunity to put down the burdens of their responsibilities, schedules and to-do lists. Customized private retreats can be personalized to support your personal journey or the unfolding of your business. 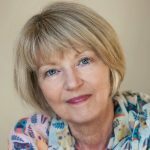 Marilyn is a Master Certified Retreat Coach, and practicing artist who taught Visual Arts for five years at university before training as a psychotherapist, and completing certifications in transformative coaching and evolutionary leadership. 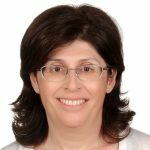 Roula Saba Mouhanna combines her background as an Executive and Career Coach with her passion for supporting women to live fulfilling lives. Roula is a PCC Coach born and raised in Lebanon. She has traveled and lived in Europe, Canada and the Middle East. Roula’s coaching experience is broad and covers career guidance, job fulfillment and work-life balance. She offers retreats in Spain, Greece and other beauty-filled places for global women.